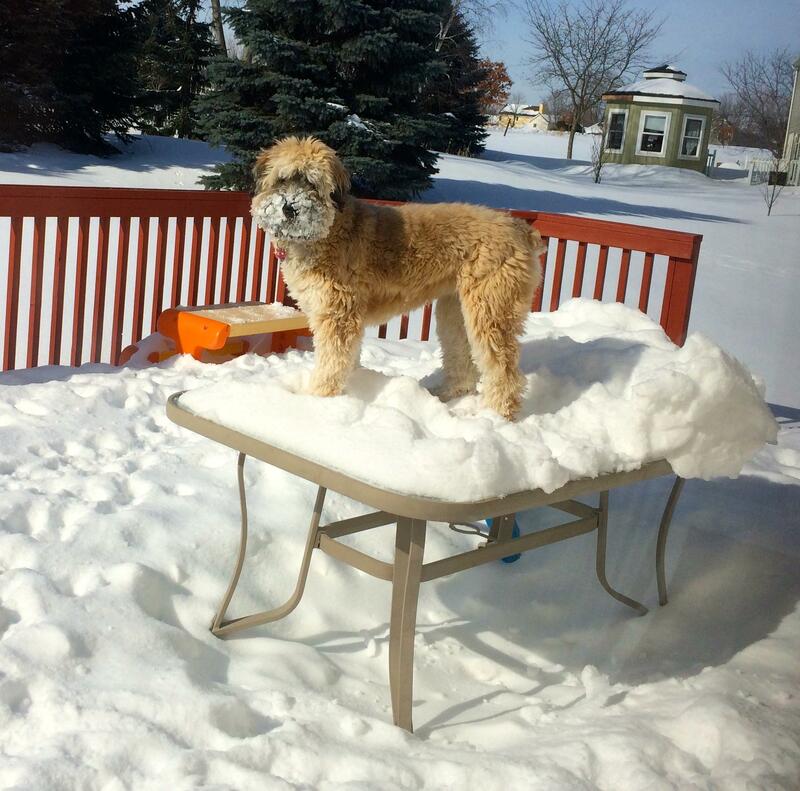 Let’s start with this – I love my dog. 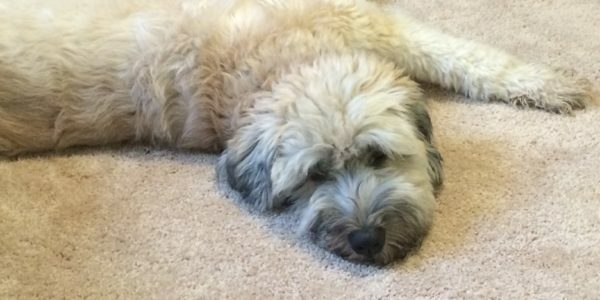 Rosie is a 5-year-old Wheaten Terrier who spends nearly every workday curled up by my feet while I work inside my home office. I decided to snap a quick photo of that very occurrence the other day and share it on my social networks – including LinkedIn. And, as with other personal, non-professional content I’ve sharedon LinkedIn, the post went viral, generating nearly 5,000 views, 50 likes and more than a dozen comments. Best of all, the quality of engagement in the comments on my “dog post” was impressive, with people sharing photos and stories of their dogs as well. 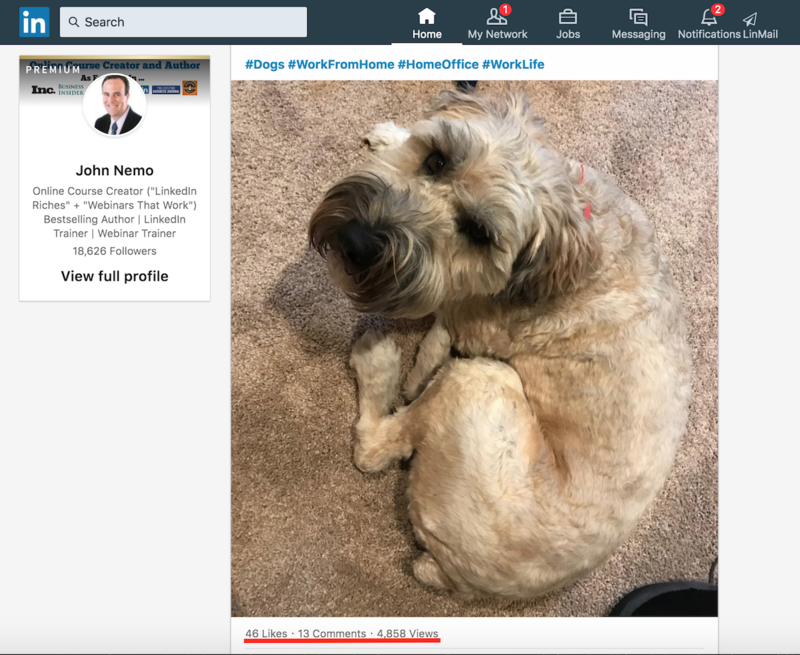 Dog photos aren’t exactly the first thing you visualize when considering how to create engagement on LinkedIn – long known as the “professional” social network. But, having spent the past 60 months studying LinkedIn lead generation and selling strategies, I’ve discovered that people are often too professional on the platform. You find commonalities to bond around. Maybe you’re both dog owners, or cat people, or love sailing, or are fans of the same sports team. However, very few people are thinking this way (sharing some personal passions, hobbies or interests with an intent to build a non-work bond with others) when posting on LinkedIn. That’s why this type of content stands out and resonates so well on the platform. They are craving someone real. Someone they can get to know, like and trust. Please note: I’m not saying you should start sharing vacation photos and dog pictures 10 times a day on LinkedIn. Instead, you need to find the right balance of real, authentic and personal stories or experiences that you can mix into your more “professional” status updates and articles on the network.Even better, whenever possible, mix in a business or life lesson that you came away with from your latest vacation, family outing, hobby, etc., that you share on LinkedIn. Remember, letting your guard down and being human once in a while on LinkedIn lets others know you’re approachable, trustworthy and just like them. And that helps you win more business as a result!